Halloween 2018 is Oh so Close! Halloween is always a breath away in Salem – usually ready to take your breath away. The Fountain Stage is in its 19th year of live local music on the streets of Salem. This year it will be surrounded by Dream Interpreters and Healing Booths with friends from nearby and around the nation. Please check out our calendar of music events to coordinate your visit to our hauntingly beautiful city with the music and entertainment you enjoy best. 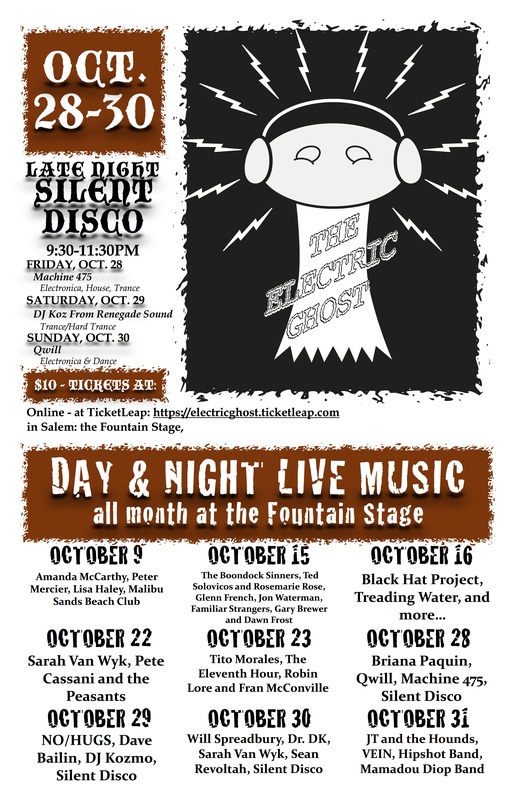 October 26-28 is The Electric Ghost, a dance and Electronica/DJ weekend with all kinds of spooky fun. 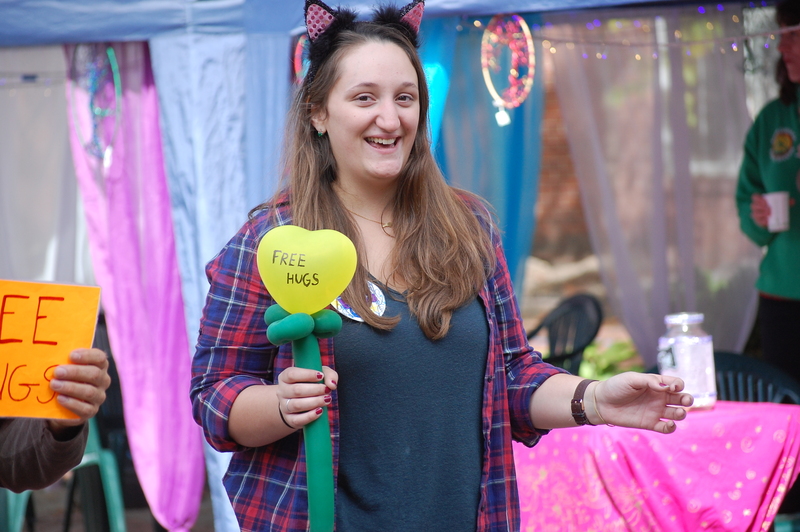 This is an all volunteer local stage, and if you would like to help support the cause, please see our support links in the right hand column. Thank you to Kokeshi, Finz, Bambolina, Sea Level, and Domino’s for joining the Fountain Stage sponsorships this year. The Fountain Stage doesn’t happen without the people and the sponsors who care about live music, and fine culture hitting the streets of Salem. This year, a number of Salem restaurants are part of the line up of sponsors. If you haven’t visited these restaurants, you are missing out on some of the best dining in the whole of the Boston area. Welcome to Salem. Welcome to beauty. Welcome to a foodie town! Click through to the sponsors websites on our sidebar, and then click your heels across town and appear in front of a great mealand good drinks. In Salem, Massachusetts, Halloween is a monthlong experience, but for the The Fountain Stage it is a little longer. It begins on Saturday the 30th. The stage goes live with music sponsored by Dweller Records this weekend. Check out the schedule on the stage schedule page, and come join us for live music on the streets of Salem this weekend. Sal em is the place to be anytime near Halloween, and the Fountain Stage has been a part of Salem events for 18 years now. Today there was a meeting of some of the minds that make October in Salem the wonderful event that it is. 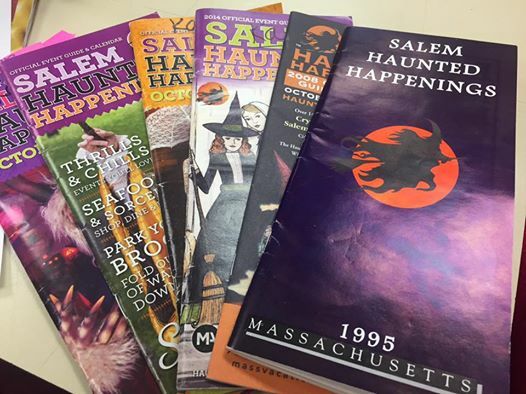 Here is a little collection dating back to 1995 of Salem Halloween brochures.